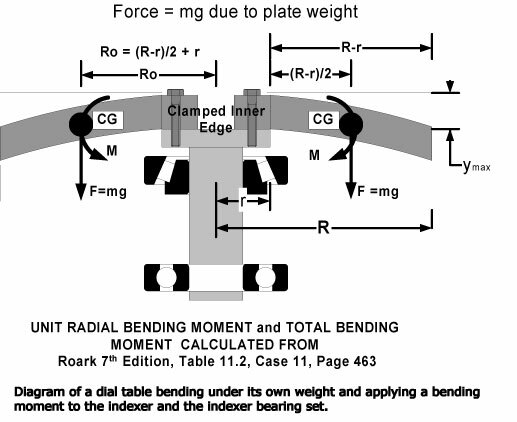 Bending moment calculations presented by Illstreet are caused by the weight of the rotary table only. 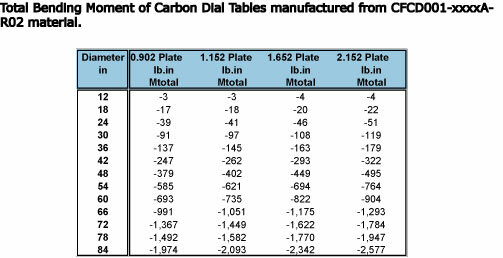 Comparison was made between carbon rotary tables and the traditional materials, aluminum and steel. 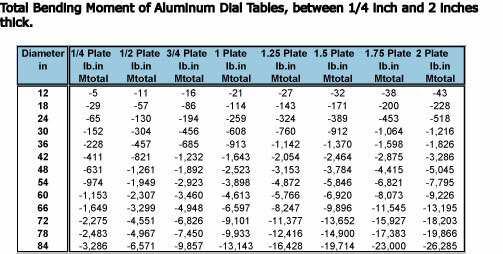 The calculated value of bending moment can be directly compared with values quoted in the indexer manufacturer's literature. WARNING: The bending moment value may not be conservative. The assumption of a clamped edge support condition could be erroneous which would lead to a higher calculated value of bending moment.